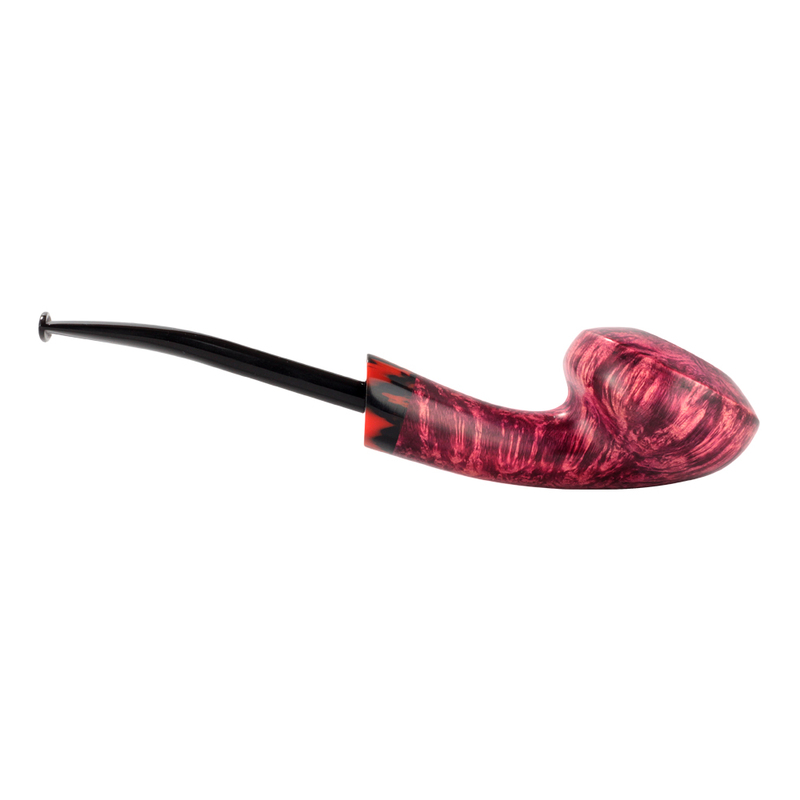 From end to end the line subtly moves from convex to concave. 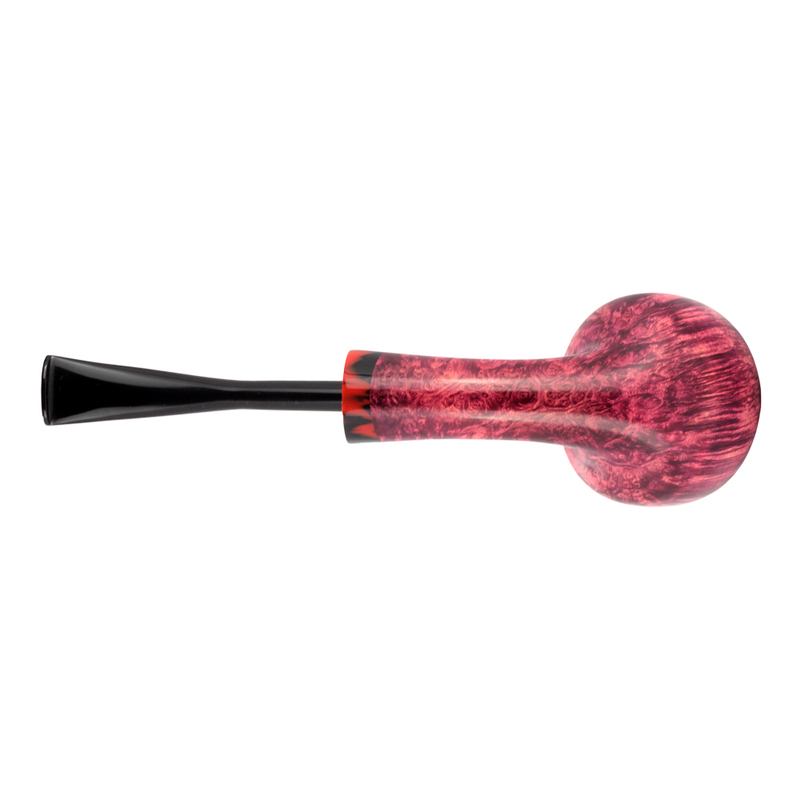 The sides of the shank and bowl ripple with straight grain while the bowl rim captures a wealth of birdseye. 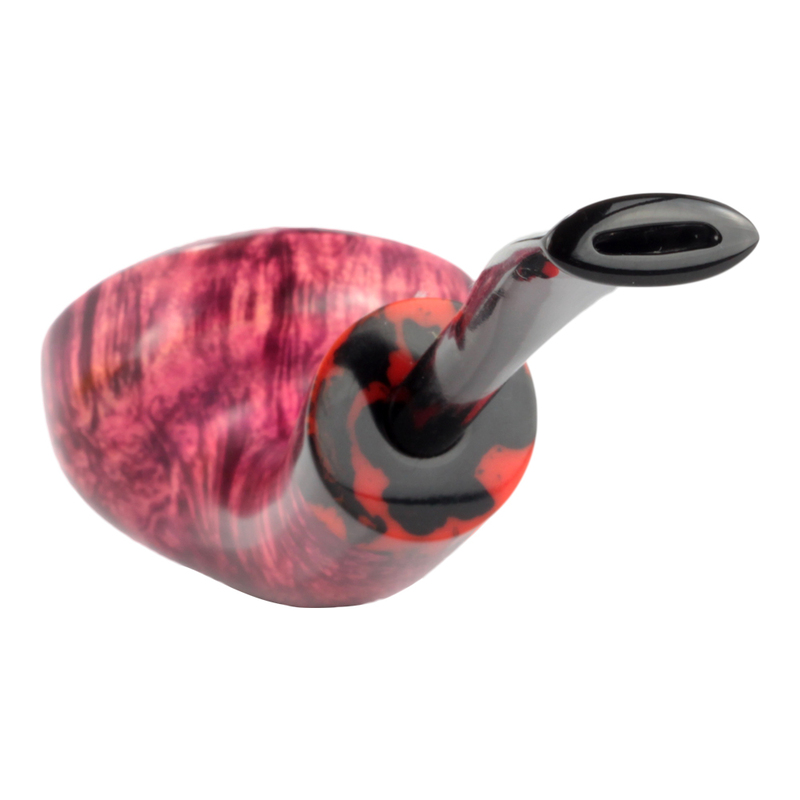 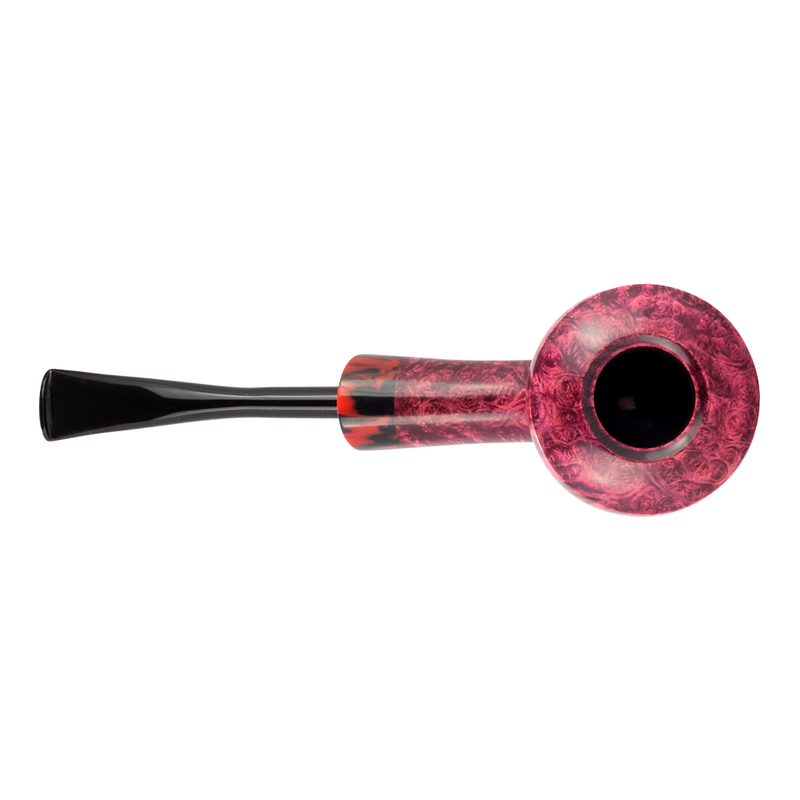 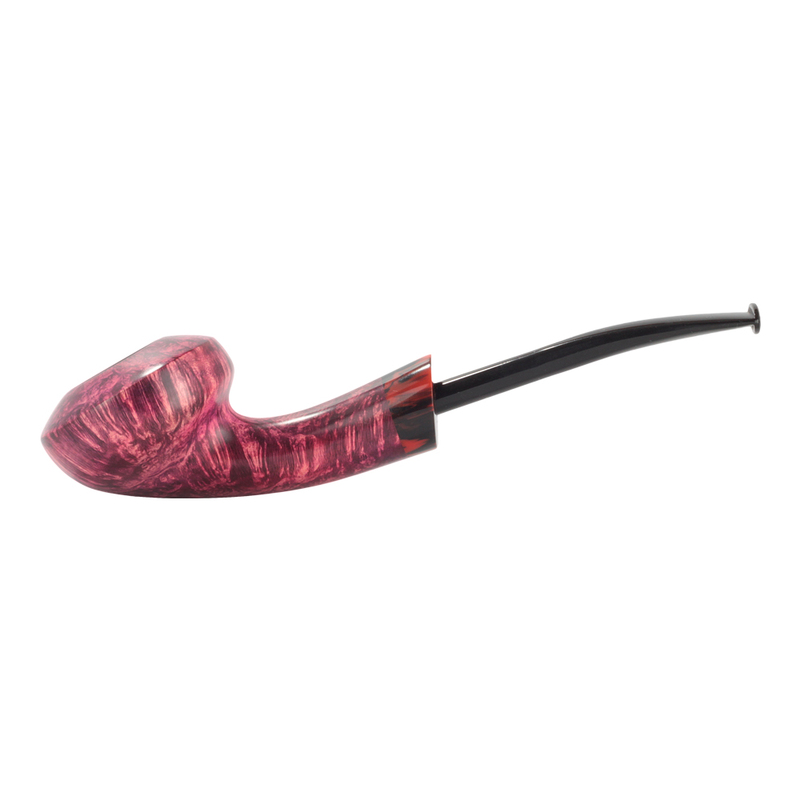 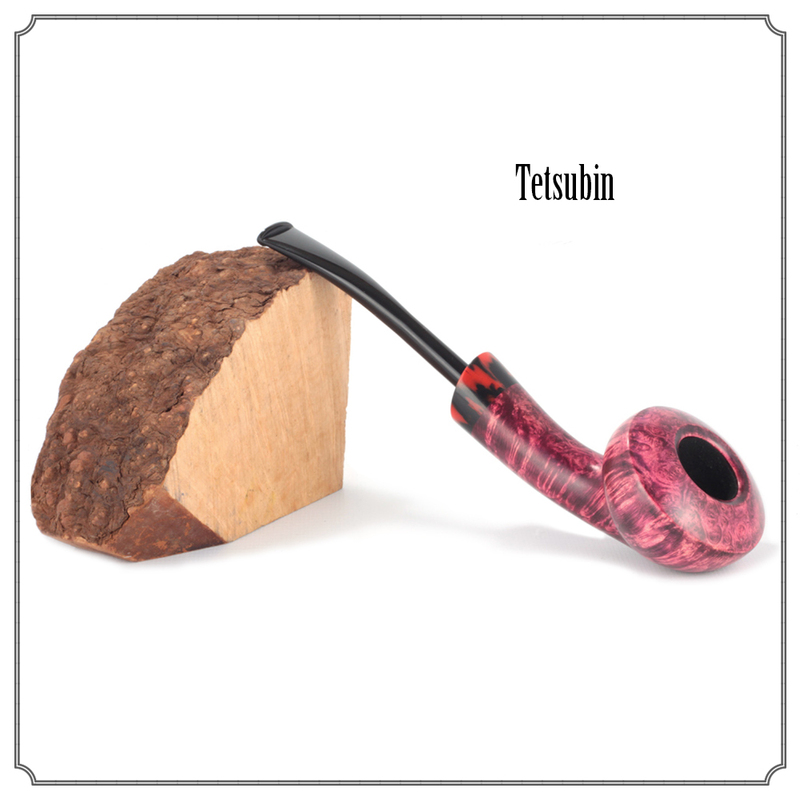 The stem is capped with a red and black acrylic extension and the pipe is completed with a quill-like ebonite stem.